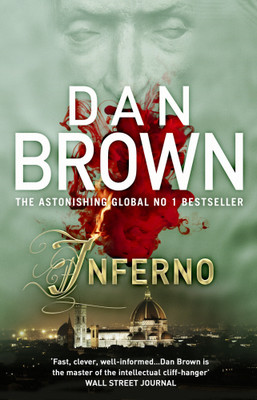 This fifth novel by Dan Brown was released in 2009 after a gap of 6 years since the publication of “The Da Vinci Code” amongst a lot of discussions and anticipations, with the pee-release reports of it featuring Langdon again and the secret society this time being the Freemasons. The book had a humongous first print of 6.5 million copies, and on the very first day the book sold one million copies and remained on the best-seller charts for almost three months. The story starts with Landon being invited to deliver a lecture at the United States Capitol, Washington, DC by his close friend and mentor Peter Solomon, a distinguished and prestigious personality who heads the Smithsonian Institution and is a 33rd degree Mason. Solomon has also instructed Langdon to bring a small package, he gave to him many years ago. On reaching the US Capitol, however, instead of Solomon, Lagdon is met by the ghastly sight of his right hand, cut and formed into the masons’ legendary “Hand of Mysteries”. And Langdon is now charged to resolve a mystery by Solomon’s kidnapper on phone: to find the Mason’s pyramid who conceals the path that can lead a human being to enlightenment and ultimate power. Langdon is also confronted by the head of Capitol police and to his amazement, by CIA’s Office of Security chief Inoue Sato. Following the clue of Solomon’s hand, they go to the Masonic Altar in a room in the Capitol’s sub-basement, where a small pyramid, lacking a capstone is lying. Sato then reveals that the capstone is in the package Langdon is carrying. Not convinced by Langdon’s ignorance about the contents of the sealed package, Sato decides to arrest Langdon, who however recieves aid in form of Warren Bellamy, architecht of the Capitol and together they flee. And where’s the kidnapper all this time? He is a man who has renamed himself Mal’akh after a demon, and is busy in his rituals. He is also a free-mason, who infiltrated the organization to get the information about the pyramid and on his way, he prepared a video that shows the leading personalities of the United States of America taking part in ancient rituals, represented in such light that will shock the normal public. Mal’akh destroys the laboratory of Dr. Catherine Solomon, Peter’s sister, located in the Smithsonian Building and manages to kidnap Langdon. Finally, under torture, Langdon is able to break the code and Mal’akh leaves Langdon to die and goes to the House of the Temples with Peter Solomon, where he wants to perform the last rite of his life, That of a sacrifice of a human. What happens next? Who does Mal’akh intend to sacrifice and why? What grudge is he holding against Peter Solomon? Will Langdon survive? Will CIA be able to stop the video from public release? And has Langdon found the right solution to the code? Has he really found “The Lost Symbol”? “The Lost Symbol” does have all the ingredients that Brown puts into his books: A secret society related to Christianity, A coded path to an ancient secret, heavy references to artwork and architecture (of Washington DC this time), research on obscure sciences, an assassin, Langdon caught in a chase of life and death, and double folds in the final solution to the puzzles that sounds amazingly clear and simple, but somehow the mixture is not as potent as “The Da Vinci Code“. The book is long and loses pace every now and then, sometimes leaving holes in the story. But, the summation of the secret answers at the end is neat and enhances greatly the impact of the book as instead of destroying beliefs, it intends to inspire a faith in the reader. “The Lost Symbol” is a good read, except a few patches here and there…..